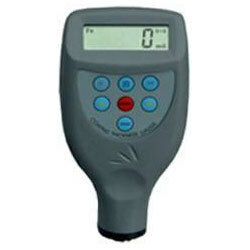 Bright Medi-Weld Appliances excels in rendering a qualitative range of Coating Thickness Meter, which is offered to the clients at leading market prices. The Tools are highly appreciated by Construction Engineers, Professionals, Students, Researchers, Govt.Agencies etc. We have a range of latest Engineering Tools which are Simple to use, Less Time Consuming, Accurate & suits your application. Optional accessories: other range 0-200um to15000 um. 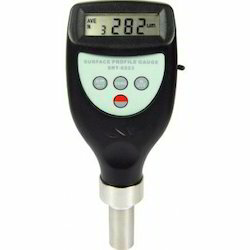 This Digital Surface Profile Gauge is a handheld gauge for fast and accurate measurement of the peak-to-valley height of the surface profile of blast cleaned surfaces. 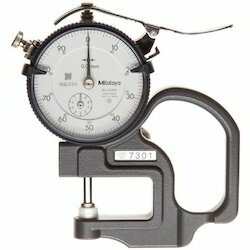 It meets the standards of ASTM D 4417-B, IMO MSC.215(82), SANS 5772, US Navy NSI 009-32, US Navy PPI 63101-000. 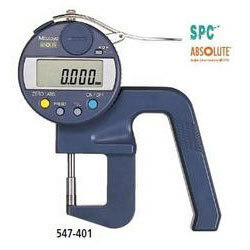 Suitable for the laboratory and can be used in harsh field conditions. Accurate, quick and repeatable results. 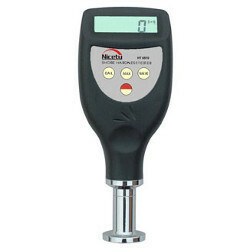 The tungsten carbide tip will last for up to 20,000 readings and can then be easily replaced by the user in the field. Cost per test is significantly lower than other test methods. Used the exclusive Micro -computer LSI circuit and crystal time base to offer high accuracy measurement. 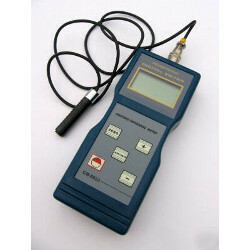 Can communicate with PC for recording, printing and analyzing by the optional software and cable for RS232 interface. USB adaptor and Bluetooth interface can also be used. 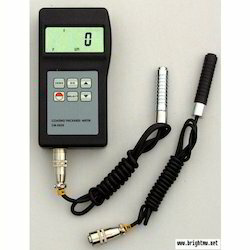 Widely used in field of blast cleaned surface measurement. If the profile is too large the amount of coating required to ensure adequate coverage increases, otherwise there is a danger that the peaks remain uncoated - allowing rust spots to occur. If the profile is too small, there may be an insufficient key to produce adequate adhesion, leading to premature coating failure. Ensuring the correct surface preparation optimizes the performance of the coating and material usage. 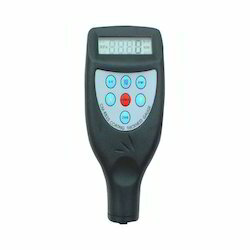 NF type : For measuring the thickness of non-conductive coating layers (ename1, rubber, paint, vanish, plastic anodic oxide layer) covered on non-ferrous substrate (aluminum, brass, zinc, tin and non-magnetic stainless steel). 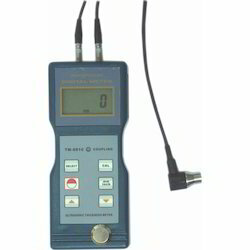 Measuring Principle : Magnetic Induction and Eddy Current. 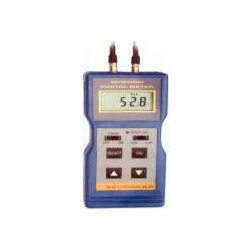 Measurement Range : 0~200um / 500um / 1000um / 2000um In Built Probe (Integrated Probe). Accuracy : ±1~3%N or ±3um. Data Output : RS232 Interface (Optional). Power Supply : 4x1.5v Aaa(Um-4) Battery 2 Shutdown. Operating conditions : 0? to 40? Weight (not including probe) :173g. Microcomputer based for high accuracy and fast measurement of the thickness of steel, cast iron, aluminium, red copper, brass, zinc, quartz glass, polyethylene, PVC, gray cast iron, nodular cast iron and many other materials. 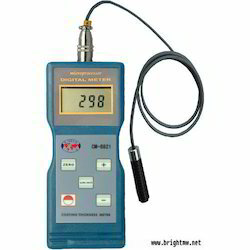 WIth high power of emission and broad band of receiving sensitivity, it can match probes of different frequencies, easily measure the rough surface, even cast iron. Display in mm and ft switchable. Display : 4 digits, 10mm LCD. Battery : 1.5V x 4, AA. The exclusive DSP processes to outputs the measurement results on LCD. 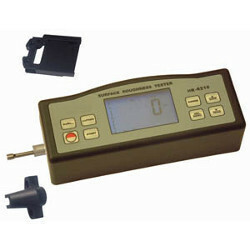 Looking for Coating Thickness Meter ?